-The principles of Ayurveda and your individual constitution. -Maintaining one´s health, digestion and constitutional balance. -The importance of proper food combinition for optimal wellbeing. 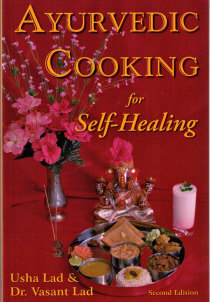 -Setting up an Ayurvedic kitchen and planning menus inclusive of every member of your family. 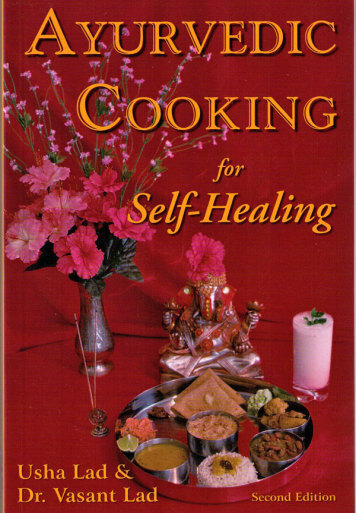 -More than 100 recipies of delicious Ayurvedic cuisine. - Nearly 300 simple remedies for everything from common cold and skin problems to stabilizing blood sugar in diabetics, all using familiar household herbs, fruits and vegetables. -A chart for determining your individual constitution. -Comprehensive food guidelines for basic constitutional types. -A listing of the qualities of foods and their affects on the doshas.